Ensuring you get the disability benefits you are owed. Not everyone consults with a lawyer when they make a disability claim; however, it is always in your best interests to learn about the disability claims process to ensure that you are getting the disability benefits you deserve. This knowledge is also highly advantageous if you are appealing a denial of benefits. 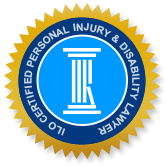 In both cases, a personal injury lawyer has the expertise to enable you to get the maximum benefits you are owed and also to act as your representative with the insurance company in any dispute over disability benefits. Disability benefits are a form of income replacement that are available to individuals who are not able to work due to illness or a physical or mental disability. Many people have access to disability benefits through their employer’s group insurance plan. Others, such as self-employed Canadians, may have paid for disability benefits coverage through a personal insurance policy. Canadians who have paid into the Canada Pension Plan and are no longer able to work may be eligible for CPP Disability coverage. There are also some disability benefits available through Ontario Benefits assistance. Government of Canada provides information for Canadians with disabilities that outlines all federal and provincial government programs that offer assistance to individuals with disabilities. When someone acquires a disability, the process of applying for benefits can be arduous and lengthy. Insurance companies, in particular, scrutinize all claims and even legitimate claims can sometimes be denied or challenged. The Injury Lawyers of Ontario (ILO) specialize in insurance claims and accident benefit claims and can assess your full rights with regards to owed compensation. We can also help with the disability benefits application process. Unfortunately, sometimes insurance companies deny benefits on the basis of the supposed seriousness of your disability or other issues, such as the medical assessments reported on the insurance application. In any situation where your insurer is balking at paying you disability benefits, a disability benefits lawyer can ensure that your benefits application contains the necessary evidence that they know to be required, and can act as your representative in getting you your due benefits. Ms. Charlebois initiated a legal action against her insurer for improperly terminating her disability insurance benefits. Ms. Charlebois suffered a disabling injury to her wrist and hand when door hardware fell on her hand while visiting a friend in a hospital. After her accident, Ms. Charlebois participated in a rehabilitation program prescribed by her insurer which included medical treatment and psychological therapy. After a time, her insurer simply discontinued paying her benefits although the occupational therapist and psychologist Mr. Charlebois had been seeing (and who were initially retained by SSQ) indicated that she was a good candidate to receive continued care. In a trial, Charlebois v SSQ, Life Insurance Co. Inc. (2015), SSQ sought to have the witness testimony from these medical experts excluded on the basis that they were alleged to have access to privileged SSQ information. However, the judge dismissed SSQ’s motion to exclude the medical evidence of experts who have an existing doctor-patient relationship with the injured person. Future legal negotiation between Ms. Charlebois’ counsel and SSQ counsel will settle whether Ms. Charlebois gets access to the disability benefits that medical professionals indicate she continues to need. Anyone who has contributed to the Canada Pension Plan (CPP) and is no longer able to work because of a disability is eligible for the CPP disability benefit. You must apply for this disability benefit using the application form for CPP disability benefits, which must be mailed to Service Canada. To be eligible, you must have a severe and prolonged disability, be under the age of 65, and have met the CPP contribution requirements. A severe and prolonged disability is a long-term physical or mental disability that regularly stops you from having gainful employment. Individuals between 60 and 65 who believe they qualify for a CPP disability benefit may first apply for a CPP retirement pension. A retirement pension is typically processed faster so qualified applicants can begin receiving assistance sooner. Then, when the CPP benefits are approved and if you are still under 65, you will be switched to the CPP disability benefits, assuming you meet the criteria for this benefit. In 2013, the average CPP disability benefit was approximately $842 monthly and the maximum amount was $1,200 monthly. A claimant will normally receive the basic monthly amount fixed for all applicants, which was $453.52 in 2013, plus an additional amount that is based on how much you contributed to CPP during the course of your entire working career. If you qualify for the CPP disability benefit, your dependent children may also be eligible to receive a children’s benefit which was about $230 monthly in 2013. Medical expenses and assistive devices are not covered by the CPP disability benefit. If you are receiving disability benefits from an employment group insurance plan, private insurance coverage or another government program, you may still be entitled to receive CPP disability benefits; however, the other plans may reduce their payments by the amount you are receiving from CPP. Individuals with disabilities and their families naturally have many questions about their qualification for benefits (whether short or long term), the type of benefits for which they are eligible, and the timeframe for receiving benefits. ILO disability benefits lawyers can explain your options for receiving benefits and what is involved in the process. We want you to be in the position to make a well-informed decision about your future. At ILO, we commonly represent accident victims and individuals with disabilities in actions against insurance companies, particularly when coverage is being denied or minimized. Give us a call and let us tell you how we can help with your disability benefits claim.